My first piece, for real this time. A while back I posted the first piece of metal work I did in 1996. Well I forgot that I actually did a piece long before that. 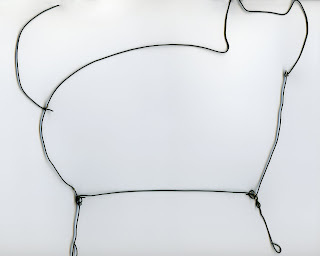 I made this wire cat out of galvanized steel wire and soft solder around 1984 I think, when I was probably 9 years old. It's about 8.5" x 9.5". I scanned this on my scanner that's why it's such a poor image, and it was slightly too big for the scanner. There hasn't been much going on worth writing about lately. I have some commissions to do, but I really don't feel like working on anything. There is one piece I finished last month I still need to photograph. It's one of the folded sheet metal pieces. Those are always difficult to photograph, so I have kind of been putting it off. I finished these lock picks the other day for a customer in the UK. They look simple but they were a pain to make. The simple looking things are always the most difficult. They are for picking dimple locks. 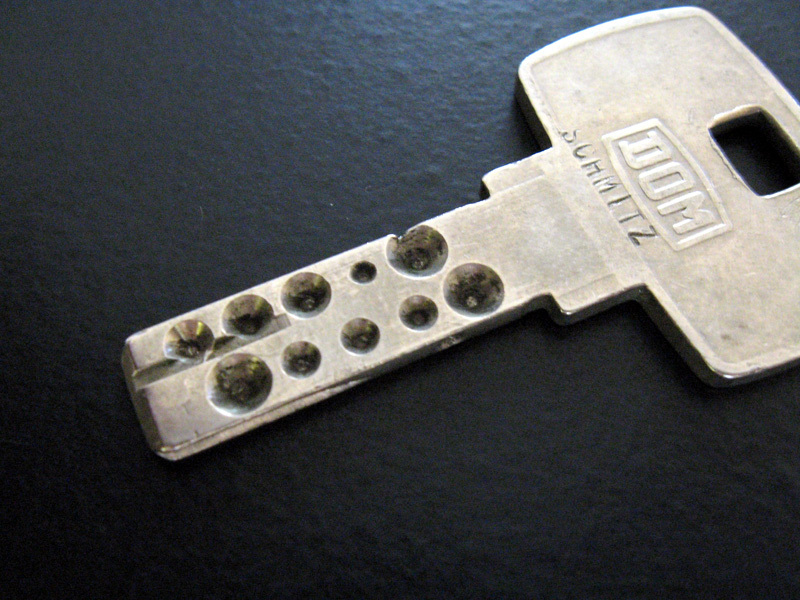 A key for a dimple lock can be seen here.